Here is a recent comms cabinet tidy up we did to help with a little office feng shui! 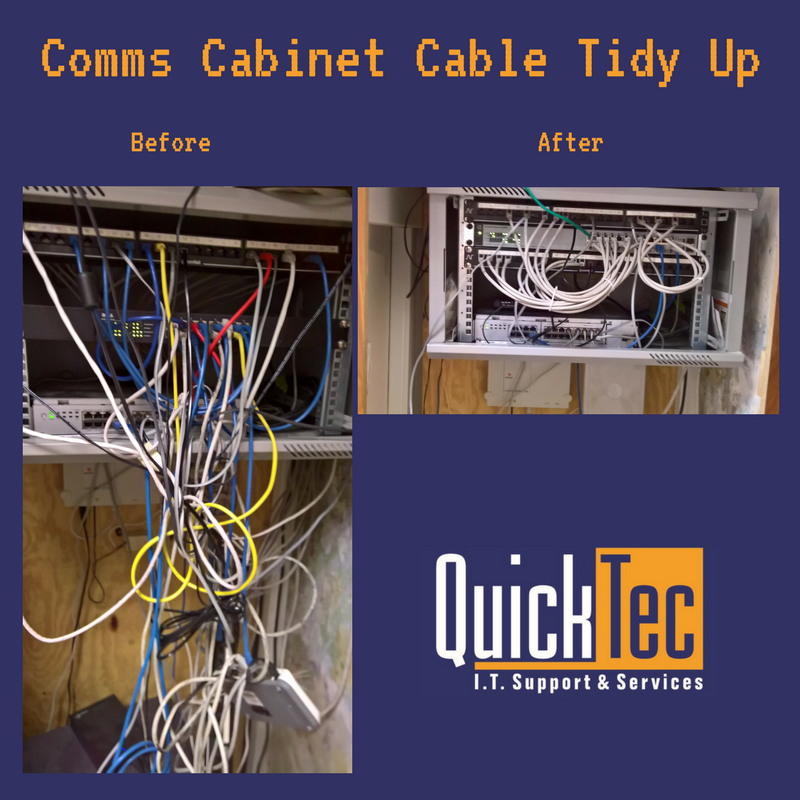 A tidy comms cabinet = more reliable IT. Call us today for some “IT feng shui” in your comms cabinet!